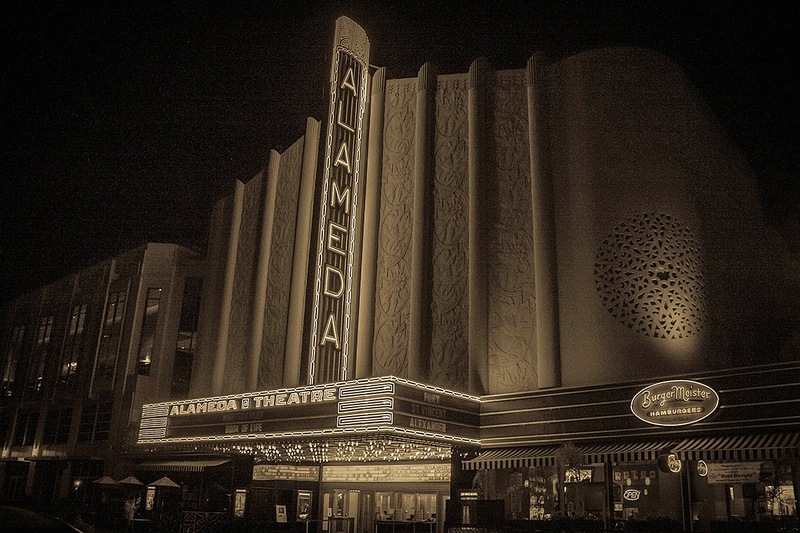 I've been waiting to take this photo of the Alameda Theater, so being home for the 9pm moment, I finally had an opportunity to photograph this beautiful Art Deco building. I really like how the antique light filter lends to the overall look of a classic street scene. Now I just need to go see a movie there.